Crafty Excursion and my New Scissors! Hi Friends! A couple of weeks ago, I had a fun filled day with my sister out in her neck of the woods. We hit up crafty locations, book shopping (my favorite), and had a pretty cute lunch. 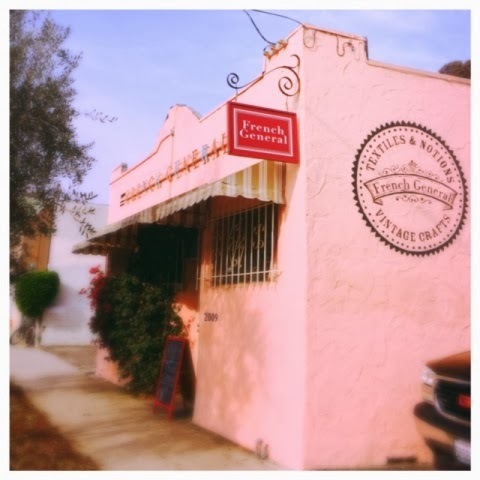 I've always wanted to check out The French General out in Los Angeles, so that we did! It has been a dream of mine to see her store, and it did not disappoint! 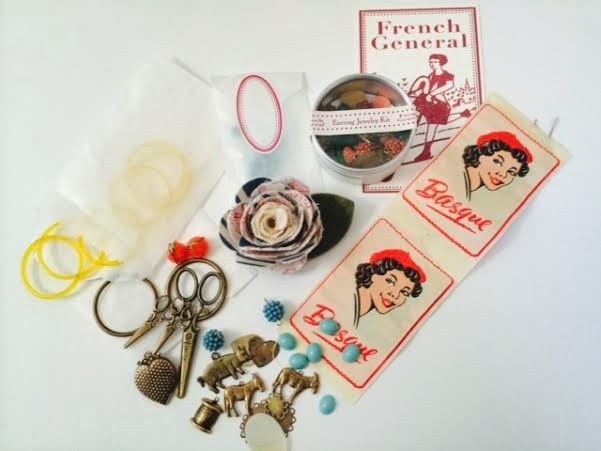 The French General is a wonderful company that sells antique french goods, ephemera, beads, jewelry findings, fabric, she also has published books out there as well. An hour and a half later my sister and I emerged with wonderful pieces to make jewelry, french badges, and paper crafting items. 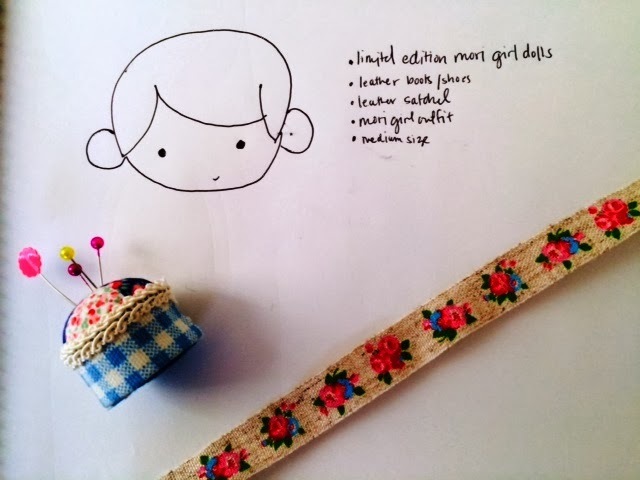 I can't wait to get started on the earrings from one of the kits I purchased! 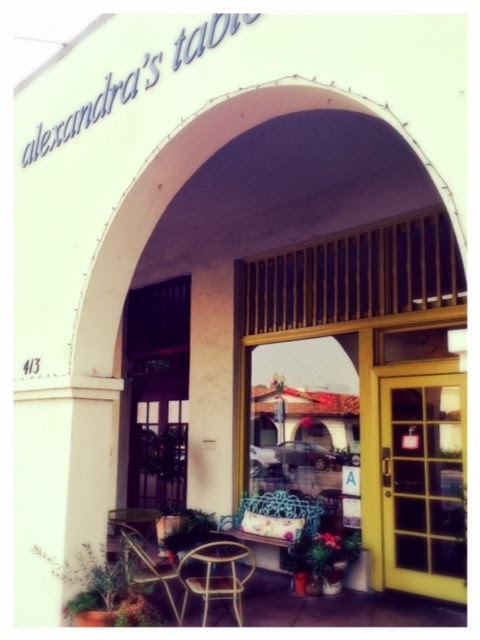 We had lunch at a wonderful farm-to-table cafe in old town San Gabriel near the Mission called Alexandras Table. 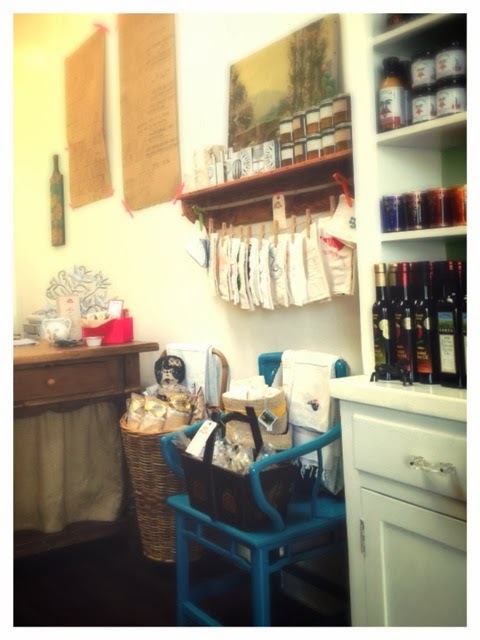 She makes delicious fresh seasonal sandwiches, salads, and soups, french press coffee, and delicious cookies and such. Did I mention how cute this place is too? It's decorated with cheery colors, and she also sells gourmet foods there as well. 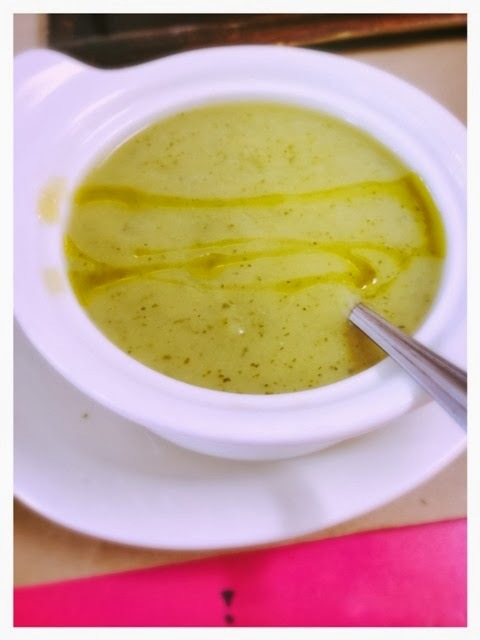 I loved this soup - Zuchinni and Potato Soup. Yummo! 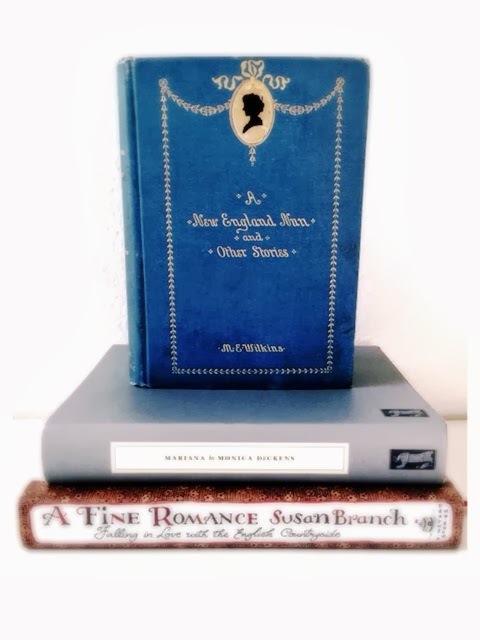 Book shopping finds - antique and new. I'm currently reading Susan Branch's new book - A Fine Romance and I'm in love with this book! It's basically her diary of her trip to England. I highly recommend this one. A New England Nun and Other Stories is a funny one. Basically about women who sew and drink tea all day (hmmm.. sounds familiar). 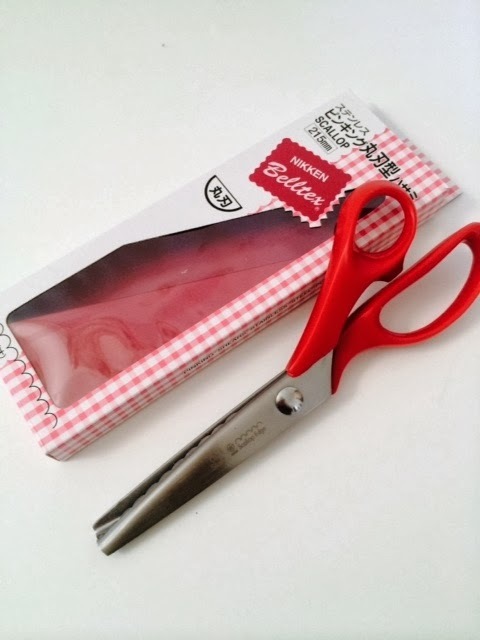 When I got home, I received my Japanese scalloped pinking shears!!! I've searched high and low for these darn scissors. 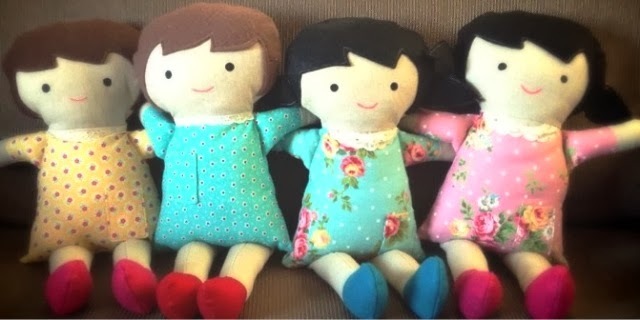 Unfortunately, these are not available in your average craft or sewing shop. 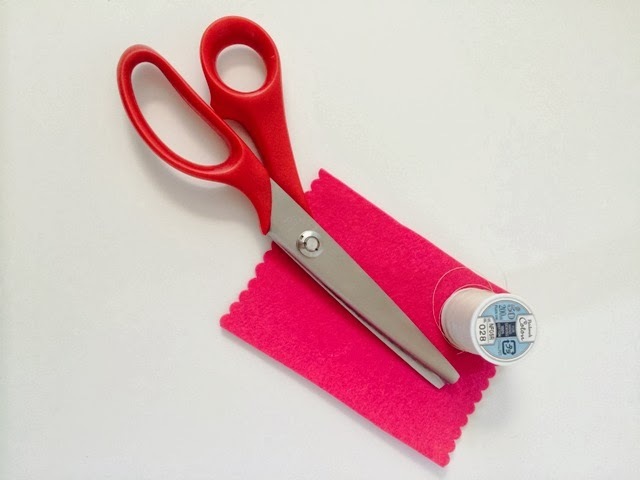 Sure there are scrapbooking scalloped scissors out there, but not ones for fabric. I found them on Etsy, and sadly, this was the only pair the seller had. 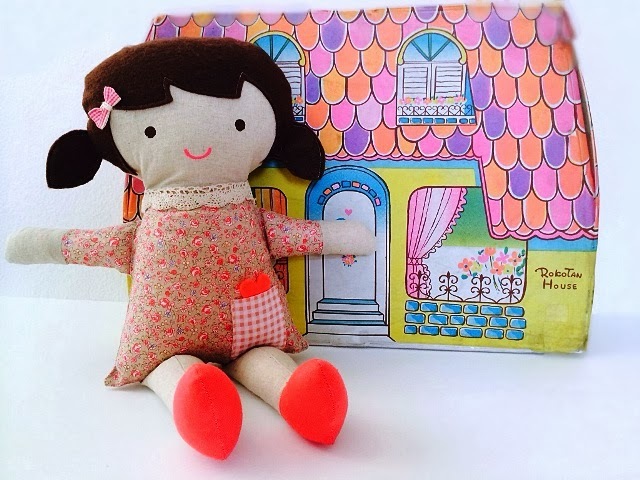 You can find more made from Germany and such just by searching on Etsy for Scalloped Scissors. What am I gonna do with these you ask - everything and anything! These will add a cute girly touch to some of my projects. Wait and see!! 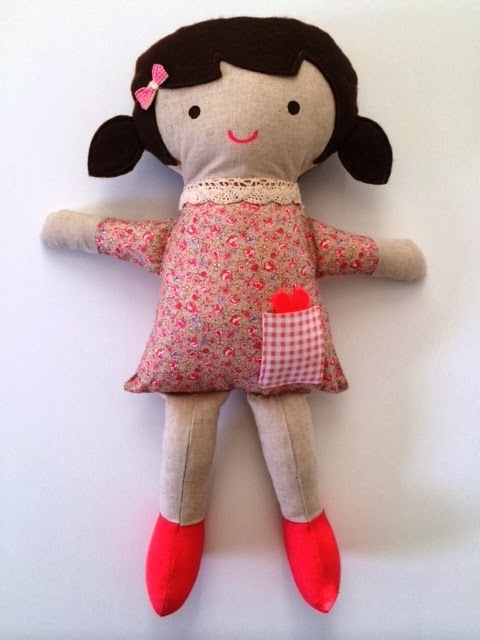 I love making dolls, so I decided to make limited edition "Mori Girl Dolls". 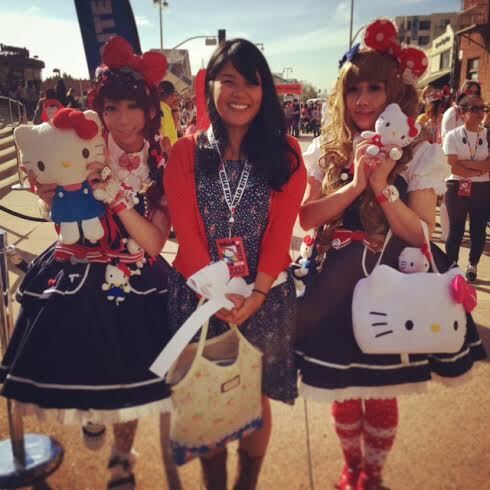 What the heck is a Mori Girl you ask? Well if you look it up on Google, it's the "Japanese Girl of the Forest Style". Huh? 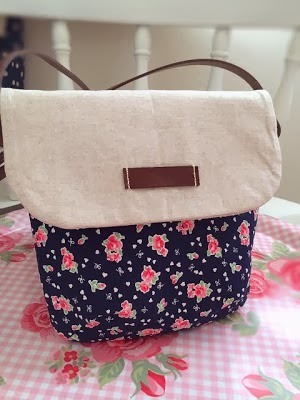 Yes, I'm kinda obsessed with anything and everything Japanese (all the fabric used in my bags, yep Japanese).It's pretty much a cute, girly, sometimes grandma chic style. This is a style I follow and frankly, my husband says I'm weird, but hey I like it and I'm gonna stick with it. I'm still toying with the design, but I want them to have a cute outfit, leather boots, and a satchel of some sort. 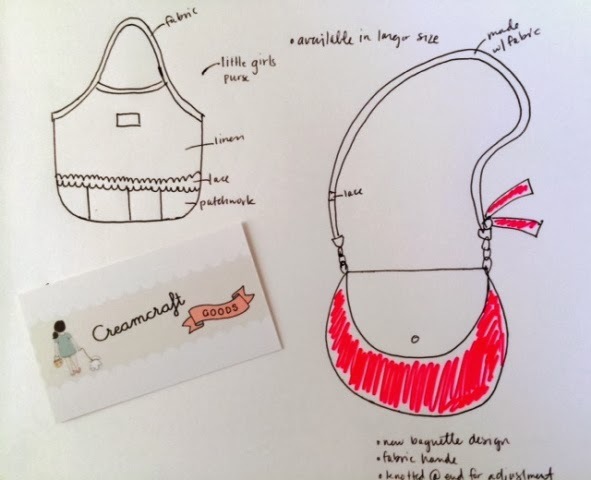 I'm also designing new bagettes, cross-body bags with a tablet insert, and cute mini pincushions. Don't forget to stop by Earth Cookie Creations for my little bagette give away. I think it ends today. Happy New Year and a Friendly Giveaway from Earth Cookie Creations! Hello dear friends! It's been awhile since my last post. I hope you had a wonderful holiday. The holidays were crazy, but fun fun fun! 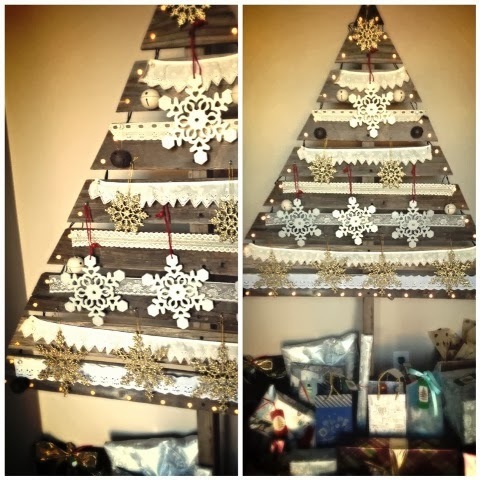 I had to sew a bunch of gifts, cook and bake, wrap presents,family parties..whoosh! I'm sad it's over but excited for what the New Year 2014 will bring! I have some new ideas for my shop and I'm gearing for the Spring Vintage Marketplace in March (fill you in on the details later). 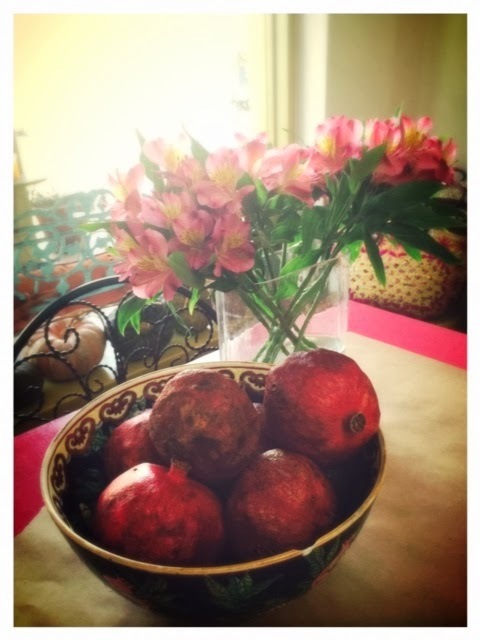 I hope to post a vignette of ideas for my upcoming spring product line in about a week. See you real soon!